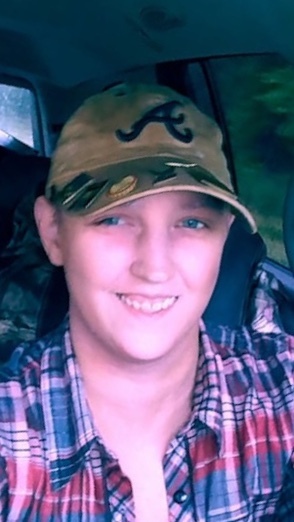 Katy Thompson, age 30, departed this life on March 26, 2019 in Memphis, Tennessee. She was born on April 29, 1988 in Memphis, Tennessee to Martha Wilson and the late David Marshall. She was a loving daughter, mother and sister. Katy was affectionately known as "KK" to her nieces and nephews. She loved to play paintball and be outdoors. In addition to her father, she was preceded in death by her brother-in-law, Garry Kincaid. Katy is survived by her son, Brent Thompson of Jackson; four daughters, Jessie Thompson of Jackson, Grace Thompson of Jackson, Kathleen Martin of Jackson and Myah Marshall of Jackson; mother, Martha Wilson; two sisters, Kelly Mincher of California and Kelsey Kincaid of Jackson; and nieces and nephews, Riley Kincaid, Levi Mincher, Abigail Mincher, Kadance Kincaid, Mason Mincher and Caleb Mincher. A private graveside service will be held at Antioch Baptist Church Cemetery. A celebration of life will be held at 2:00 P.M., Monday, April 1, 2019 at Parkburg Baptist Church in Pinson, Tennessee with Brother Matthew Mincher officiating.